The original drift car? Certainly one of the most popular. Thanks to its ultra lightweight chassis, and bizarre rwd drivetrain for a family car, the Toyota ae86 is a car which since its creation in 1983, has never been repeated. 0-60 in 8.5s from the famed 4A-GE engine with aorund 120bhp depending on location is popular as is a swap to 4A-GZE supercarged version form the Toyota MR2 mk1. the car now demands up to £5000 for a perfect classic, and expect to pay £3000 for a good example. 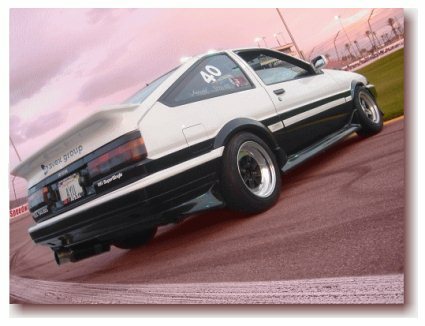 If you can get one, you can create your very own Hachi-Roku as seen in the Initial D cartoon and game. A great car with unlimited potential and a car of choice for Keichii Tsuchiya. Classic 80s Japanese beast which started it all! 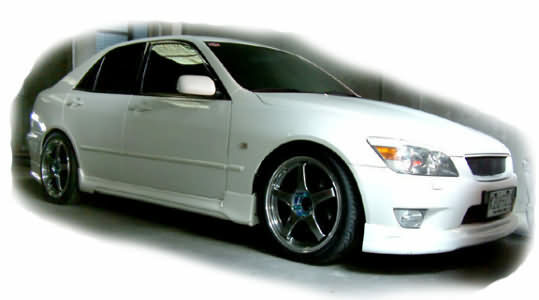 Luxury, yes, but this Lexus can be made into a dream of a drift car. While the IS300 has the most power from its 3.0l inline six, it only comes in automatic in the UK. However the IS200 has only 155bhp! 2 things you can do... add the Official Toyota Team Europe (TTE) Supercharger kit for around 215bhp, and a large torque increase across the range, or go for a Japanese import Toyota Altezza. We'd go for the Toyota Team Europe Supercharger kit, as it has good warrenty and the option for much larger gains by upgrading the pulleys, and fitting bigger intercooler systems. Lightweight Inline 4 with 200bhp provide much sideways fun, all in the comfort of your leather seats! the IS range has a huge following, especially in the US, and it has been used on the professional drift scene. Expect to pay around £7000 for a good IS200. We wait to see how the new IS350 goes sideways. If it can combine its looks then expect a winner!